Digital Imaging Reporter’s annual questionnaire asks photography retailers what their favorite products are in different categories. 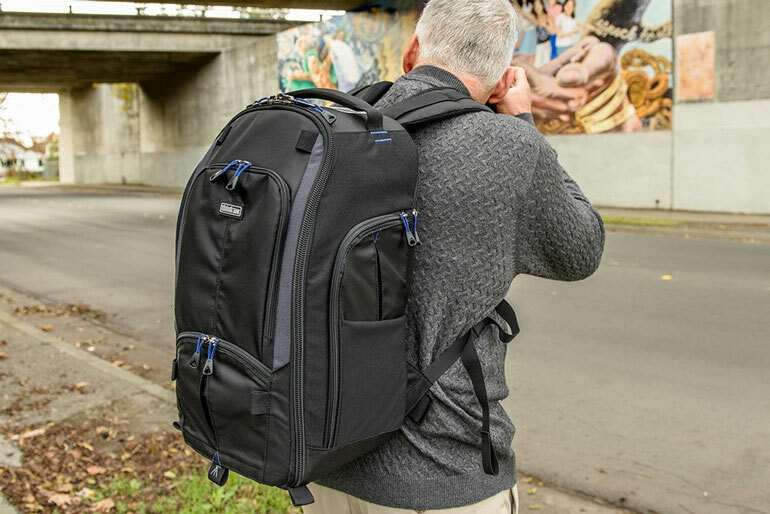 For the third year in a row, Think Tank Photo won the bag category, and their StreetWalker v2.0 series took top place. You might think, why is it important what retailers like? Isn’t the consumer opinion what counts? Retailers actually experience a lot more consumer purchases than one or two consumers do. They also see the behind the scenes product support that most of us don’t. The votes are based on a mix of product quality, support, and ease of selling. We’ve reviewed the Think Tank’s Rolling Camera Bags in the past, and we’ve had lots of their photography bags over the years. So, they are definitely well deserved in the bag category. The StreetWalker V2 backpacks are interesting because they are the maximum size that a carry-on is allowed (in the US), so they’re a bit bigger than most walkaround photo bags. There are both backpacks and rolling backpacks in the series. Apart from the dividers inside that make organization and gear protection simple, the StreetWalkers V2 also have a tripod mount on the front, water bottle pockets, rain covers, a laptop and dedicated smartphone compartment, and they are compatible with Think Tank’s speed belts (aka fanny packs) which are good for quick access as you’re walking around and taking photos. More info on Think Tank and their StreetWalker backpacks at their website. 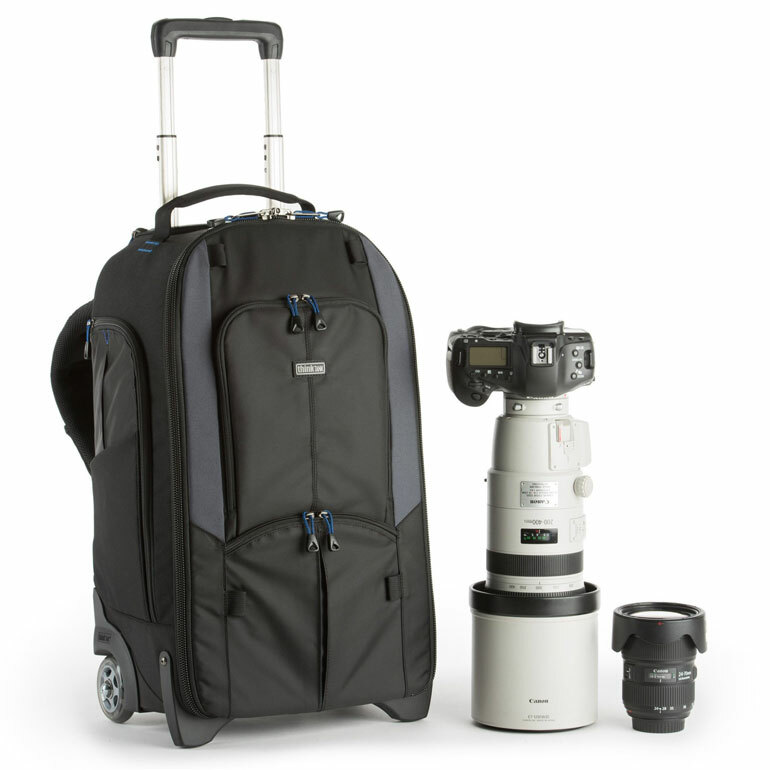 The StreetWalker Rolling Backpack V2.0 is so spacious, it will fit two DSLR bodies with lenses attached (including a 200-400mm f/4), and a 15” laptop. The StreetWalker HardDrive V2.0 backpack fits two bodies with lenses attached or a gripped body with a 200–400mm f/4 attached, a 15” laptop and a 13” tablet. The StreetWalker Pro V2.0 backpack fits two bodies with lens attached or a 400mm f/2.8 unattached, and a 10” table. And, the StreetWalker V2.0 backpack fits one gripped DSLR with 70–200mm f/2.8 attached, one standard DSLR with 24–70mm f/2.8 attached, a 16–35mm f/2.8, and a 10” tablet.